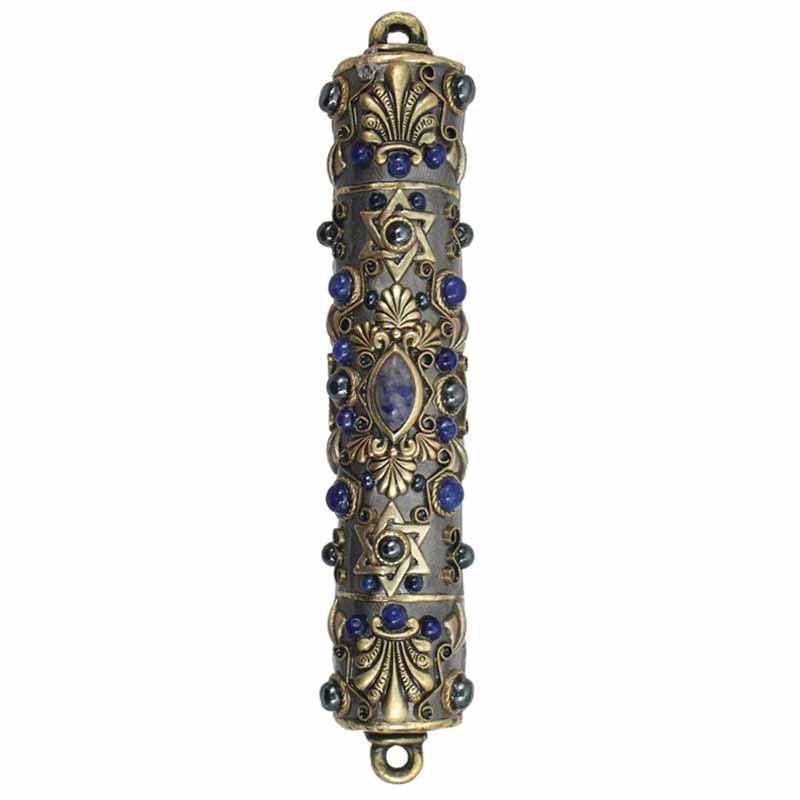 Antiqued gold accents and an ornate design give this Mezuzah a vintage charm. 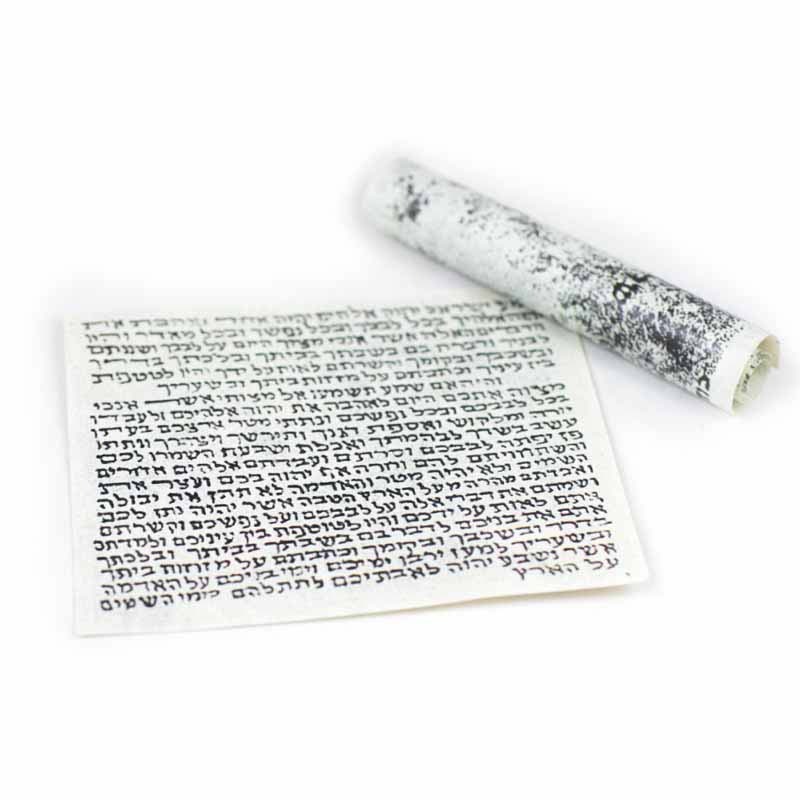 This beautiful piece is brand new but could easily pass as a family heirloom. Abalone and sodalite stones add a touch of bold blue color. A timeless piece that would go great against a wooden door frame.